Greetings from Shanghai…wish you were here! 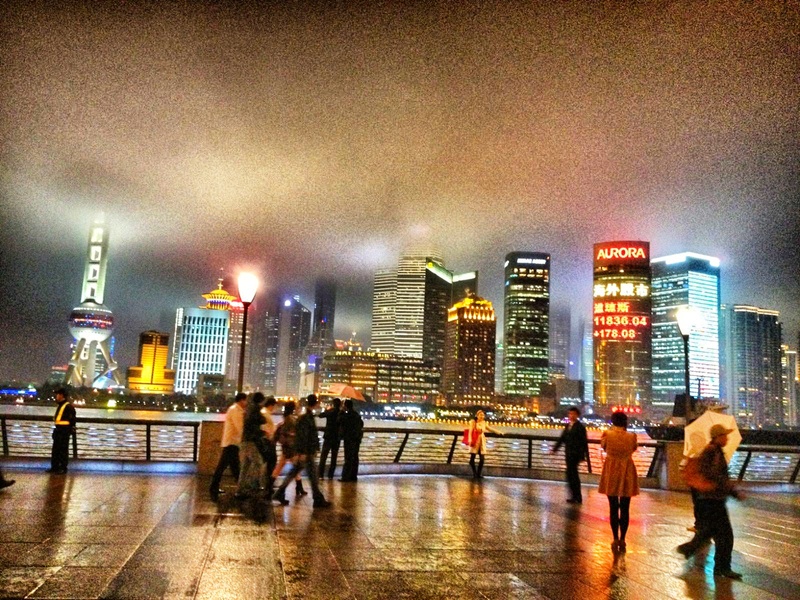 Photo taken on balmy, misty night on the Bund in Shanghai, China. November 2011. I had to have fun playing around with this photo. The Bund is perhaps the most beautiful skyline I’ve ever seen! If only I could take a good picture, though. It started to rain during this shot but I like it anyways for the blurriness which is rather how you feel when you stand there taking it all in. So grand. So big. So bright. So beautiful. Fabulous is right. Being awful, but your coloured rain could also be a representation of the poison from pollution, no? You’ve got it! It was so smoggy there I could hardly believe it and like I said all my pictures are in a perpetual haze. Oh well. Thanks! It is quite unusual, isn’t it! Never mind the quality of this photo. The mood in here is just great! Thanks! It is blurry but I love it all the same. I especially like the woman in the red dress.